Offering you a complete choice of products which include steel mill duty crane. We are the most reliable manufacturer and supplier of a high quality range of Steel Mill Duty Cranes. 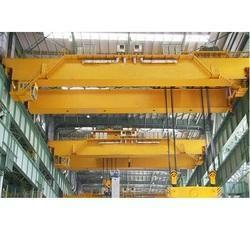 These cranes are used to handle heavy material in various industries.